New Testament scholar James D. G. Dunn has written numerous commentaries, books, and essays sharing his thought with the world. In this small, straightforward book designed for a lay audience, Dunn focuses his fifty-plus years of scholarship on the central question posed by the New Testament—who is Jesus? Dunn surveys the New Testament books from Matthew to Rev-elation, exploring and unpacking what they actually say about Jesus. Dunn’s Jesus according to the New Testament points to the wonder of those first witnesses and enriches our understanding of who Jesus is to us today. 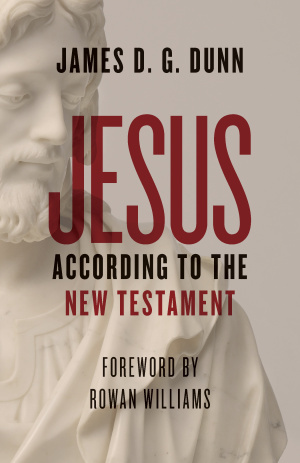 Jesus according to the New Testament by James D. G. Dunn;Rowan Williams was published by Wm. B. Eerdmans Publishing Co. in February 2019 and is our 58921st best seller. The ISBN for Jesus according to the New Testament is 9780802876690. Be the first to review Jesus according to the New Testament! Got a question? No problem! Just click here to ask us about Jesus according to the New Testament.